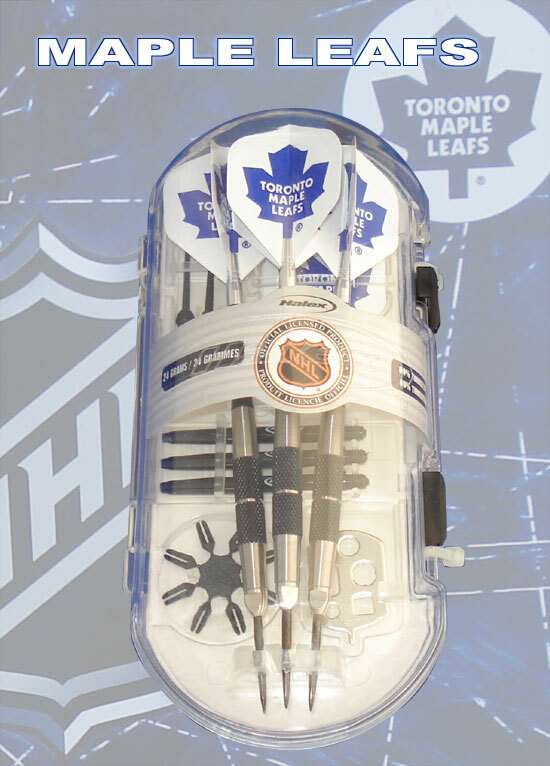 Why not bring some of the excitement of NHL Hockey into your game of darts? 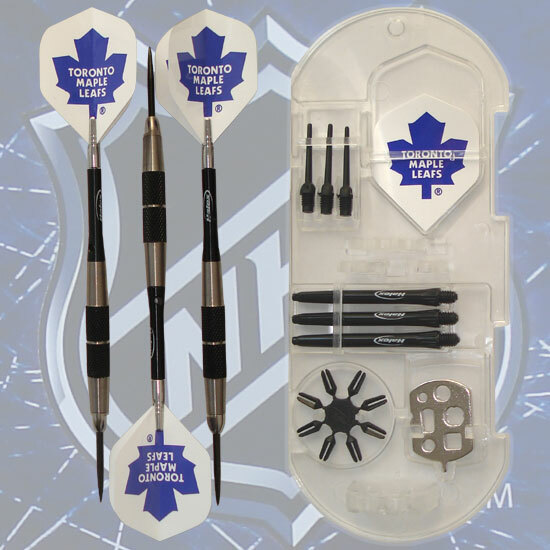 Officially licensed NHL darts featuring your Toronto Maple Leafs will be the talk of your darts night. These 80% tungsten conversion darts are 24gm and convert easily from steel tip to soft tip. Get yours today!